The DataGryd team has more than 100 years of combined experience, including owning and operating data centers, acquiring real estate for institutional investors, and overseeing telecommunications network construction and engineering projects. Each member of the team has held upper management roles at major companies within related industries and enjoys applying their knowledge at DataGryd. Mr. Valhuerdi has over 25 years of management experience in the telecommunications and data center fields. He served as Vice President of Engineering for Zayo Colocation, Vice President of Infrastructure for FiberNet Telecom Group, Inc., and previously held various engineering and construction management positions within Bell Atlantic. Mr. Valhuerdi holds a B.S. in Electrical Engineering from Manhattan College, an M.S. in Information Systems from Polytechnic Institute of New York University as well as a Master’s Certificate in Project Management from George Washington University. He also holds a Project Management Professional certification and is EIT certified. Bill Betz brings more than 30 years of success driving large global sales and marketing teams to increased revenue and market share. 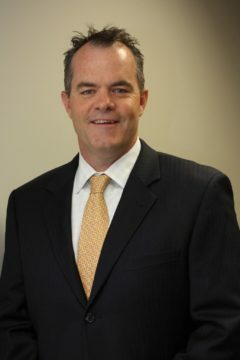 He recently served as the vice president of sales at Sky Technology Partners, where he gained knowledge and insight into various cutting edge technologies and services, including software-defined wide area networking (SD-WAN), hyperscale data center facilities, and software-, platform-, and infrastructure-as-a-service solutions. Prior to his time with Sky Technology partners he held the position of vice president of sales at INAP, BT Radianz and Quality Technology Services. Mr. Gjokaj brings more than 25 years of progressive design, construction and maintenance of mission critical infrastructure and facilities. Sander has spent 20 years as a Principal, Senior Manager and Vice President in a variety of industries, including real estate, construction, communications, media and entertainment. Sander’s previous employers include Home Box Office (HBO) Inc., a New York-based media and entertainment company where he served as Global Vice President of Facilities Operations & Engineering. He also served as Senior Manager of CORE Engineering for XO Communications, a leading nationwide provider of advanced communications services and was a Principal at PowerTech Electrical & Engineering Corp., a full service electrical and engineering firm. Sander studied Physics and Electrical Engineering at Pace University and holds certifications and licenses with the FCC and NYSBEC. Mr. Hamid has 23 years of combined experience in Accounting and Taxation. Previously he was partner and controller at Mobile Hype for two years. Before joining Mobile Hype he worked as a Manager of Financial Reporting at AIG for three years. From 2006 to 2009 he also served as Controller for the Fibernet Telecom Group where his team oversaw the eventual sale of the company in September of 2009. Mr. Hamid holds an M.S degree in Accounting from Baruch College, the City University of New York. He is also a Certified Public Accountant, a member of the AICPA and the New Jersey Society of Certified Public Accountants. Mr. List serves as senior management advisor to DataGryd and its board. Mr. List is a partner at CR3 Partners, LLC, focused on providing interim management and advisory services to middle-market companies across a wide range of industries. Mr. List has spent his entire career working with companies and stakeholders of companies experiencing growth or other transformative opportunities and challenges. Mr. List has a BBA from The University of Oklahoma and is a Certified Public Accountant and Certified Turnaround Professional. Tom Brown, CEO of DataGryd, tours the Meagsuite 6 construction with Mike Mauriello, Project Superintendent, Clune Construction. Tom Brown, CEO of DataGryd, introduces John Becker, Senior Account Executive, and Martin Walsh, Senior Regional Manager, for the latest MegaSuite 6 update. Tom Brown, CEO of DataGryd, and Sander Gjokaj, VP of Design and Construction, with another MegaSuite 6 update. DataGryd, a premier data center provider in New York City, recently selected Hylan, a market leading provider of specialized communications engineering and construction services, to design and build the power infrastructure for its MegaSuite 6. DataGryd, a premier data center provider in New York City, announces today that its President and CEO, Tom Brown, will speak at PTC ‘19, taking place January 20-23, in Honolulu, Hawaii. DataGryd, a leading data center provider in New York City, announces today its plan to build MegaSuite 6, a high-density and high-performance data center suite. DataGryd, a premier data center provider in New York City, announces today that its President and CEO, Tom Brown, will participate in a panel at DCD > New York, taking place April 9-10, 2019, in New York, New York. 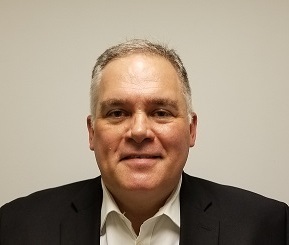 DataGryd, a leader in data center development and operations in Manhattan, announces the appointment of Bill Betz as Vice President of Sales. In this role, Mr. Betz will be responsible for the sales execution of DataGryd’s 60,000 square foot facility located on the sixth floor of 60 Hudson Street. DataGryd, a leader in data center development and operations in Manhattan, announces the appointment of Thomas Brown as President and Chief Executive officer. In this role, Mr. Brown will lead the development and execution of DataGryd’s short and long-term strategies for financial growth, as well as oversee the company’s operations and management. DataGryd, a leader in data center development and operations in Manhattan, announces today that its CEO and Principal, Peter Feldman, will speak at IMN’s 8th Annual Fall Forum on Data Centers & Cloud Services Infrastructure (Midwest) in Chicago. DataGryd, a leader in data center development and operations in Manhattan, announces today that its CEO and Principal, Peter Feldman, will speak at the Third Annual Data Center Austin Conference (DCAC) in Austin’s Silicon Hills. Known as the “anti-conference” of the industry, DCAC is poised to shake up the data center ecosystem with hot content and networking opportunities. On the eve of IMN’s 7th Annual Provider Forum on Data Centers & Cloud Services Infrastructure (East), where DataGryd’s Peter Feldman will appear on the Cloud Service Provider CEO Panel, Data Center POST interviewed the company’s CEO and principal to discuss what sets DataGryd apart from other colocation facilities in the New York metro area, the needs of Cloud providers, and his abiding belief in unicorns. In recent years, the Greater New York data center market has faced several strong headwinds, including the financial crisis and its chilling effect on spending, fallout from flood-related outages during Superstorm Sunday, and a tough competitive environment for the region’s wholesale providers. In a recent article that appeared in Crain’s New York Business, journalist Matthew Flamm explored the current growth surge throughout the Big Apple’s technology sector. Citing nearly a dozen organizations, from up-and-coming and innovative e-commerce and advertising technology companies, to venture capital investment database and tech-focused boutique legal firms, Flamm is especially bullish on technology across the New York metro area. DataGryd, a leader in data center development and operations in Manhattan, today announces the completion of infrastructure updates at its 60 Hudson facility, offering built-to-suit colocation opportunities to incoming tenants. DataGryd is pleased to announce the launch of its MegaSuite high-power data center in cost effective megawatt configurations, featuring greater operative space, utility grade infrastructure and smarter energy. The MegaSuite is now available to provision your NYC data center requirement. DataGryd has spent $100 million converting four floors of 60 Hudson St., a famed telecommunications carrier and transatlantic cable hub, into a cutting-edge data-center space. The company has leased out one floor and will begin a marketing push for the rest of the space with an event Sept. 18. Data center colocation services provider Telx has added about 70,000 sq ft of space to its data center at 60 Hudson – a major New York City carrier hotel – increasing its capacity in the building by about 70%. Copyright © 2014 DataGryd Data Centers LLC. All rights reserved. Use of this website is governed by the User Agreement. The content contained on this site is provided to users "AS IS" without any express or implied warranty. For information on your privacy, please read our Privacy Statement.